Embry-Riddle’s Bachelor of Science in Homeland Security degree program, one of the very first in the nation, is designed for students who envision a safer, more secure tomorrow, and see themselves in some capacity working toward that end. The Bachelor of Science in Homeland Security provides students with a foundation in security, with specialized tracks in emergency management, terrorism studies, or cybersecurity. Whether the student’s interest lies in law and policy, terrorism, emergency management, risk assessment, intelligence analysis, strategic planning, or security, Homeland Security graduates emerge ready to contribute to making the world a safer place. The Homeland Security degree combines the University’s General Education requirements with a solid core of homeland security courses as well as minors in international relations, cybersecurity, or several other minors available to the student. The curriculum of this degree is founded in outcome-based methodology, using analysis of marketplace needs, intelligence from U.S. military and governmental experts, and practicing professionals. Students will complete projects with real clients from all over the county. They’ll have the opportunity to employ state-of-the-art facilities and equipment. A team of faculty with extensive combined field experience leads the Department of Security Studies and International Affairs. These dedicated, talented faculty share with students their first-hand experiences and teach critical analysis and threat assessment using current events and classroom projects. Subject matter experts from a variety of homeland security disciplines often provide guest lectures or even teach entire courses. As conditions change in the U.S. and around the world, the student’s educational experience is adapted to meet the demands of industry and government institutions. In today’s world, there is daily evidence of the need for security. Natural disasters and the effects of climate change are costly and can devastate entire communities, the threat of terrorism is present globally, and the need for cybersecurity increases as technologies develop. Offered through our Security Studies and International Affairs department in the Daytona Beach College of Arts and Sciences, the Homeland Security program exposes students to the different concepts that help ensure the protection of our nation’s security interests. Topics include studies in emergency management, critical infrastructure protection, risk analysis, industrial security, environmental security, terrorism, intelligence, criminal justice, cybersecurity, and law and policy. Gain hands-on experiences through internships, class projects, and a senior capstone research project — all of which prepare students to solve real-world challenges for future clients. The devotion of the faculty, the passion of the students, and the collaborative atmosphere in ERAU classes foster academic and social success. Students transferring into the program who have earned academic credits in homeland security-related course work or professional experience may be granted credit hours to be applied to the degree program with approval from the program coordinator. A degree in Homeland Security will afford students the opportunity to have a positive impact with every decision they make. Our graduates are prepared to help change the course of events to influence history; they could be at the front line to help people recover from disasters or even help to prevent crime and terrorism. Every summer, SSIA Department faculty lead trips to countries such as Ireland, England, German, and Israel, where students not only get the opportunity to experience different cultures and visit foreign cities, but they attend workshops, seminars, and behind-the-scene tours of security-related facilities to learn first-hand how other nations and companies deal with security issues facing the world today. A Homeland Security student can gain this valuable, real world knowledge while earning up to six credits toward BSHS core curriculum. The Homeland Security industry includes chemical, biological, and radiological detection, as well as border, rail, seaport, industrial, and nuclear plant security. Other vendors include computer and human resources experts, information and integrated technology companies, and many different avenues for consultants. The Department of Security Studies and International Affairs (SSIA) offers a Bachelor of Science degree in Homeland Security (HS) that is based on the needs of the U.S. government and its citizens as well as the needs of the private sector. The HS degree combines the University’s General Education requirements with a solid core of homeland security courses as well as minors in forensic accounting, international relations, terrorism studies, or cybersecurity or several other minors available to the student. In addition, this degree allows the student to take maximum advantage of transfer credits and electives in order to explore breadth in related areas of study. 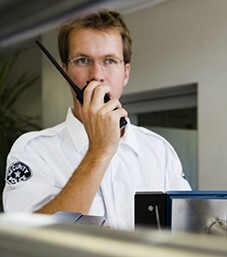 The Homeland Security degree is designed for students who have an interest in obtaining a strong foundation in many of the domains of the growing homeland security enterprise, including terrorism studies, law and policy, emergency management, risk analysis, intelligence, physical security, environmental security, asymmetric warfare, and decision making/strategic planning. In addition, students can choose one of two ways to specialize their homeland security education; either through (1) taking two minors or (2) one minor and at least a 15 credit “coherent block of courses” (with permission from the HS program coordinator). Senior capstone projects require students to work with local organizations to solve real homeland security or emergency management challenges. Internships or cooperative work experiences optimize the student’s professional preparation and credentials. The goal of the degree is to produce highly marketable graduates with entry-level skills such as the ability to perform risk analyses, write emergency management and continuity of operations plans, design and evaluate exercises, design and perform physical security evaluations, design and deliver professional briefings, and understand how to identify and protect critical infrastructure. Graduates of this program will find employment opportunities in federal or state government, universities, and the military or in the private sector. In addition, the HS program is ideal preparation for further study in graduate school, including law, public policy, or emergency management, intelligence analysis, business, criminal justice, political science, national security studies, international affairs, etc. All Homeland Security majors must complete a senior capstone course (HS 490) and a 3 credit (that is at least 300 hours) internship or co-op sometime following their freshman year. All university requirements for eligibility apply and the HS program works with Career Services to administrate all internship experiences. Students transferring into the program who have earned academic credits in homeland security-related coursework or professional experience may be granted credit hours to be applied to the degree program with approval from the program coordinator. Students with a CGPA of 2.5 or higher may enroll in the cooperative education or internship experience at the equivalent of three or more credits to be taken during or after the sophomore year. Student must see advisor prior to enrollment, prerequisite for any internship is HS 280 or consent of advisor. With the ever changing needs of the government and its role in protecting its citizens, the Bachelor of Science in Homeland Security (BSHS) degree aims to meet those needs as well the needs of the private sector. The BSHS will help to develop highly marketable skills for its graduates such as the ability to perform risk analyses, write emergency management plans, and understand how to identify and protect critical infrastructure. Graduates of this program will find employment opportunities in federal or state government, universities, and the military or in the private sector. The Bachelor of Science in Homeland Security (BSHS) degree is based on the needs of the U.S. government and its citizens as well as the needs of the private sector. The BSHS degree combines the University’s General Education requirements with a solid core of homeland security courses as well as minors in international relations, cybersecurity or several other minors available to the student. In addition, this degree allows the student to take maximum advantage of transfer credits and electives in order to explore breadth in related areas of study. The Homeland Security degree is designed for students who have an interest in obtaining a strong foundation in many of the domains of the growing homeland security enterprise, including terrorism studies, law and policy, emergency management, risk analysis, intelligence, physical security, environmental security, asymmetric warfare, and decision making/strategic planning. In addition, students can choose from two ways to specialize their homeland security education; either through (a) taking two minors or (b) one minor and at least a 15 credit “coherent block of courses” (with permission from the BSHS program coordinator). Senior capstone projects require students to work with local organizations to solve real homeland security or emergency management challenges. Internships or cooperative work experiences optimize the student’s professional preparation and credentials. The goal of the degree is to produce highly marketable graduates with entry-level skills such as the ability to perform risk analyses, write emergency management and continuity of operations plans, design and evaluate exercises, design and perform physical security evaluations, design and deliver professional briefings, and understand how to identify and protect critical infrastructure. Graduates of this program will find employment opportunities in federal or state government, universities, and the military or in the private sector. In addition, the BSHS program is ideal preparation for further study in graduate school, including law, public policy, or emergency management, intelligence analysis, business, criminal justice, political science, national security studies, international affairs, and other related fields. B.S. in Homeland Security students who wish to continue on to a master's degree may enroll in the BSHS to MSHSR or MSCMP 4+1 program as outlined in this program. Embry-Riddle courses in the general education categories of Communication Theory and Skills, and Humanities and Social Sciences may be chosen from those listed below, assuming prerequisites are met. Courses from other institutions are acceptable if they fall into these broad categories and are at the level specified. Students complete their breadth requirement by either two non-duplicating minors (minimum 30 credits total), or one minor and a "coherent block of study" (minimum 30 credits total) that is determined with consent of Program Coordinator. **For students in the Bachelor of Science in Homeland Security degree program the RSCH 202 prerequisite for Core, Program Support, or Minor courses are waived since RSCH 202 is not required for the program. Students who are accepted into the 4+1 program, spend three academic years in undergraduate-level study. At the beginning of their senior year (having earned at least 88 credit hours with a 3.00 CGPA), may take up to three graduate-level courses that will meet undergraduate and graduate program requirements (when a B grade or better is achieved). Students must complete a minimum of 120 undergraduate/graduate course credits for their Bachelor of Science degree. Upon completion of the BSHS requirements, students will be enrolled in graduate school and can complete their MSHSR or MSCMP degree in one year. In any graduate course taken by an undergraduate student, a grade of B or better must be earned. If a grade of C or F is earned in any of the MSHSR or MSCMP graduate courses taken for BSHS credit, the student will be removed from the 4+1 program, have credit awarded to the BSHS degree only, and may continue to complete the BSHS degree. Students initiate program acceptance through their Academic Advisor or Campus Advisor; to help ensure program criteria are met. Student Advisor will complete the request for processing into the 4+1 program. Minnesota student residents refer to State of Minnesota Course Requirement statement for Humanities requirements. As Chancellor of the Embry-Riddle Worldwide Campus, Dr. John R. Watret knows the power of women in aviation. Now, he knows what happens when it’s combined with the power of Twitter. Q&A: How Much of a Threat Do Drones Pose to Air Travel? Embry-Riddle’s Dr. Kristy Kiernan, program chair for the Master of Science in Unmanned Systems, focuses on bringing together the safety culture of aviation and the “innovation culture” of drones, particularly given the promise of drones to benefit society by improving public safety. Recently on Forbes.com, she explored the risks that drones could pose to air travel. Do small unmanned aerial systems, or drones, pose a threat to airplanes and airline passengers? If drones end up where they don’t belong, they could be a hazard to manned aircraft. We have regulations and technology that should prevent drones from being in the same airspace as manned aircraft, but these safeguards don’t always work. Alleged drone sightings have shut down operations at Gatwick, Heathrow, Newark, Dubai, Sao Paulo, and Dublin airports, among others. On Feb. 21, 2019, flight operations at Dublin airport were briefly suspended following a confirmed sighting of a drone over the airfield. For the fourth consecutive year, Embry-Riddle Aeronautical University’s Worldwide Campus has retained the top spot in U.S. News & World Report’s 2019 Best Online Bachelor’s Programs for Veterans. The world’s premier aviation and aerospace institution, Embry-Riddle Aeronautical University, earned the No.1 spot on U.S. News & World Report’s 2019 ranking of the United States’ best online bachelor’s degree programs, affirming the school’s focus on academic excellence, affordability and promising career opportunities for graduates. A commencement ceremony on Dec. 1 at the Frontiers of Flight Museum in Dallas, Texas, this year honored a record 120 graduates from Embry-Riddle Aeronautical University’s Worldwide Campus. The students earned undergraduate and graduate degrees from eight Worldwide campuses in Texas and Louisiana, representing Embry-Riddle Worldwide locations in Fort Worth-Alliance, Fort Worth (NAS Joint Reserve Base Fort Worth), Wichita Falls (Sheppard Air Force Base), Abilene (Dyess Air Force Base), San Antonio (Randolph Air Force Base), Houston, Corpus Christi (NAS Corpus Christi), Louisiana (Barksdale Air Force Base) and the Online Campus. SINGAPORE – Embry-Riddle Aeronautical University – Asia celebrated the accomplishments of 106 new graduates, who earned bachelor’s and master’s degrees in aeronautics and aviation business administration. Homeland Security senior Avery Katz was the first intern to participate in a unique partnership between Embry-Riddle and the U.S. House of Representatives.